9 x 5 x 4 in. 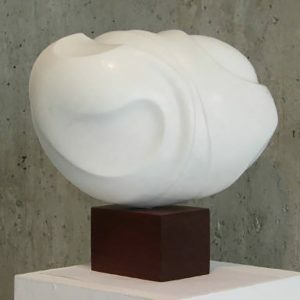 Since 1959, The West Baffin Eskimo Co-op has had a leading role in the development and success of Cape Dorset’s sculptors. 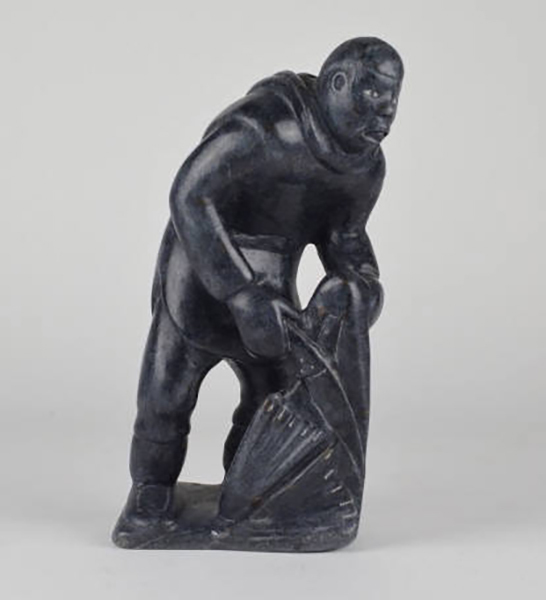 Cape Dorset carvings are recognized for their highly naturalistic forms and dramatic compositions carved from the famous ‘green stone’. 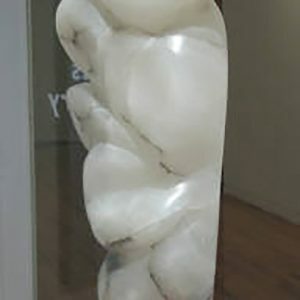 Ranging in colour from light yellow to black, the local serpentine stone used for carving has qualities that allow the artist to carve fluid outlines, daring and delicate lines and smooth, elegant finishes. It is the wealth of talent and imagination that has earned Cape Dorset a reputation as a vibrant art centre. Artists work in winter carving studios and move outdoors when the first warm days arrive. If there is a certain artist from the Dorset Community you are looking for, please contact the gallery. We have many other works available that are not currently on view on our website.